Dubai, UAE – June 12, 2018: Axalta Middle East, part of Axalta (NYSE: AXTA), a leading global supplier of liquid and powder coatings, has ramped up its environmentally responsible strategy for the region’s leading automotive distributors..
As part of its commitment to technology and product innovations that assist partners in fostering sustainability, Axalta is working with Mohamed Naser Al Sayer Toyota Service Body Shop Operations in Kuwait on its “go-green” initiatives. Axalta’s line of Spies Hecker Permahyd Hi-TEC water-based refinish technology will now be used across Mohamed Naser Al Sayer Toyota Service Body Shop Operations. 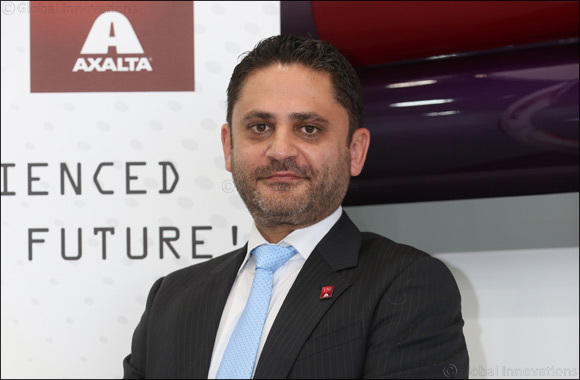 Axalta will also support Mohamed Naser Al Sayer with the latest Phoenix Digital Colour matching hardware and software, offering more than 80,000 colour formulations at the click of a button to ensure customers’ vehicles are matched panel to panel. As everything is recorded in the Phoenix Software, the color can be matched time and time again for the same vehicle. Going 100 per cent digital color matching is another step towards saving time and increasing productivity and quality. “We are confident that with our sustainable and advanced products and technologies, we can strongly support our customers, such as AL SAYER, to achieve sustainable growth and success,” added Medlej. According to Krishna Kumar, General Manager AL SAYER Engineering, an important factor in the Group’s decision-making was Axalta’s capacity to combine the world’s best technologies with a highly-productive Refinish system that uses less product and less application time, whilst also protecting the environment.